Playgrounds usually have muddy and rough surface, which raises the risk of injury to kids. To keep them safe, an option is to install high quality surface mulch on the ground. It not only lowers rate of injury but also provides a clean and beautiful look to the playground. 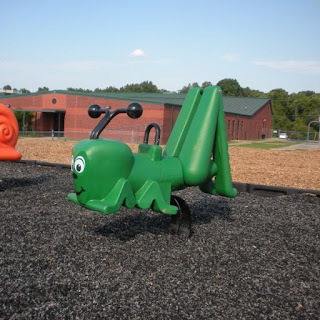 Out of all the surfaces, recycled rubber mulch is considered to be best for playgrounds. As the name suggests, it is made of recycled rubber products. Used rubber material such as cycle tubes, van tires, rubber pipes and the like are thoroughly recycled. In this process, imperfections and other impurities get removed from the rubber. It further gets de-vulcanized and completely shredded to attain mulch. This mulch has an edge over other playground surfacing options. Recycled rubber mulch has high absorbing tendency, therefore, can easily absorb the moisture to provide dry and non-slippery surface to kids. It provides the proper cushioning surface under the playground equipment and is impact resistant in nature. You would be astonished to know the life expectancy of recycled rubber mulch is twice as long as other playground surfaces. Unlike regular mulch, it prevents the spread of rodent and growth of weed in the park. You can also clean this mulch easily with mild soap and water. With so many benefits, Environmental Protection Agency (EPA) in the United States also supports this rubber mulch surfacing option.